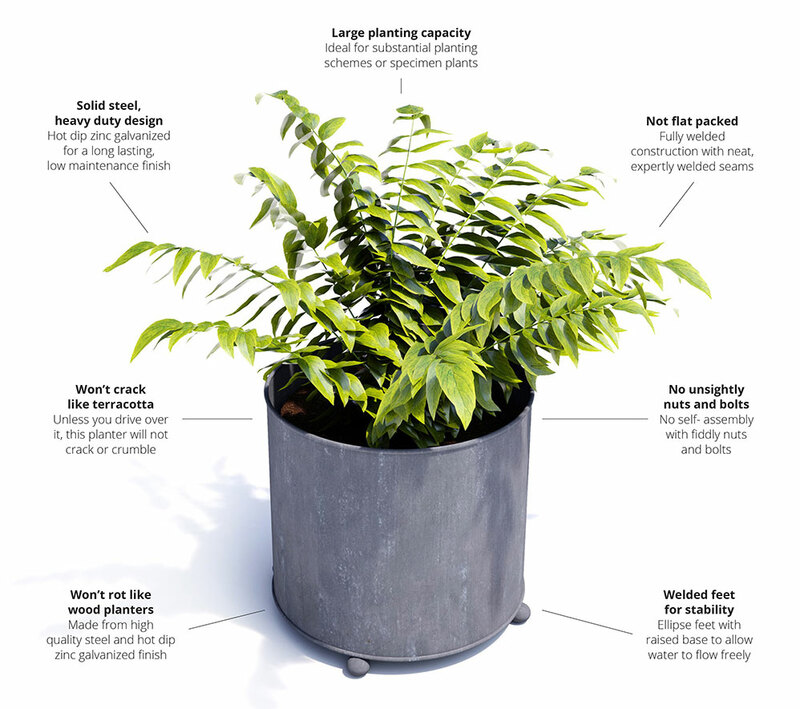 This very large round planter is made by us in Bath, Somerset. 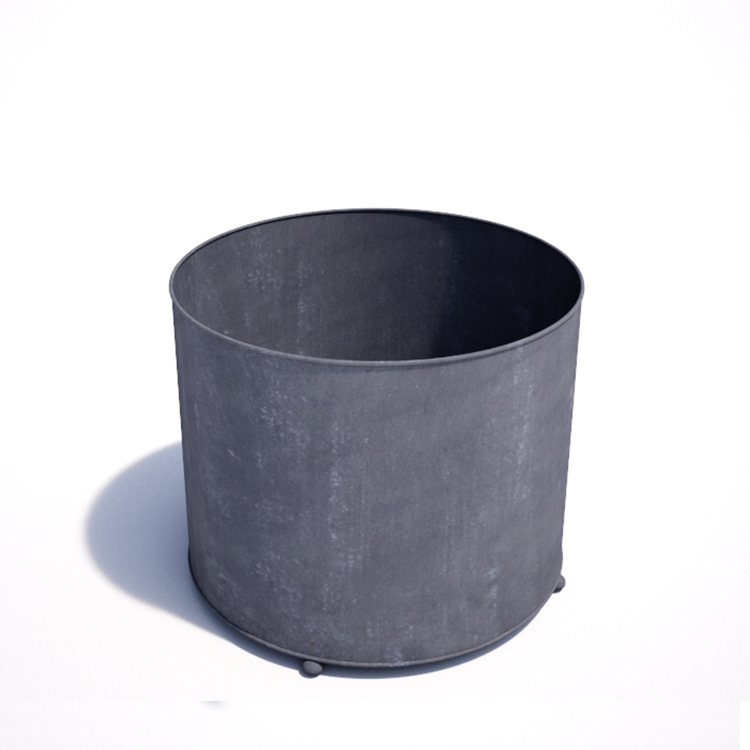 This heavy duty garden planter is hot dip zinc galvanized for a highly durable, rust-resistant finish. No self-assembly required. Bespoke designs available.